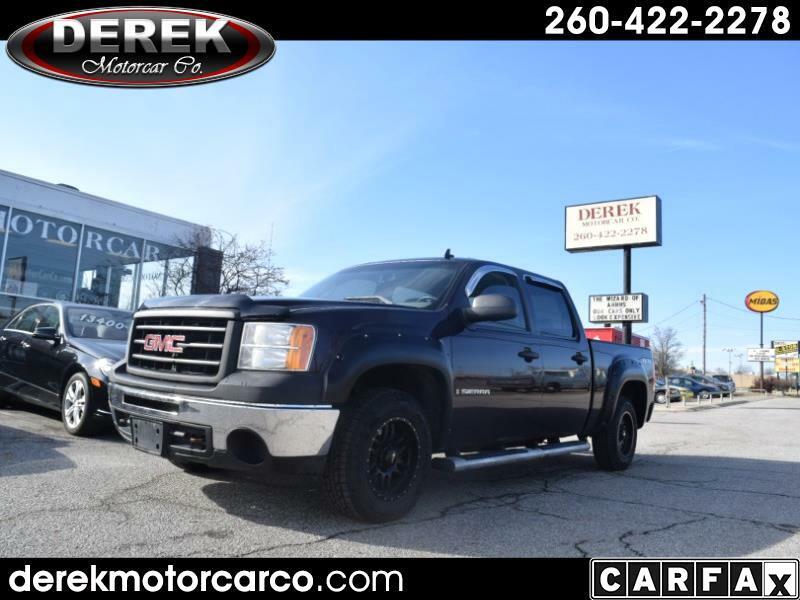 Used 2009 GMC Sierra 1500 Work Truck Crew Cab 4WD for Sale in Fort Wayne IN 46805 Derek Motorcar Co.
Visit Derek Motorcar online at www.derekmotorcarco.com to see more pictures of this vehicle or call us at 260-422-2278 today to schedule your test drive. Although every reasonable effort has been made to ensure the accuracy of the information contained on this site, absolute accuracy cannot be guaranteed. This site, and all information and materials appearing on it, are presented to the user "as is" without warranty of any kind, either express or implied. We are NOT a Buy Here/Pay Here lot. Rule of thumb, minimum of 10% down, prefer you have your own financing, if not, we can submit an application to one of the lenders we work with, however it is NOT an in-house financing, it is with lending institutions. We do NOT take payments. If you see a 'payment' next to the listing, this is put on by the website (Car Gurus, CarsForSale, etc and is an ESTIMATE ONLY. If you put your cursor on the payment, it will say: “ESTIMATES OF PAYMENTS ARE FOR INFORMATIONAL PURPOSES ONLY.” We do not take payments here. We are NOT a Buy Here/Pay Here lot.